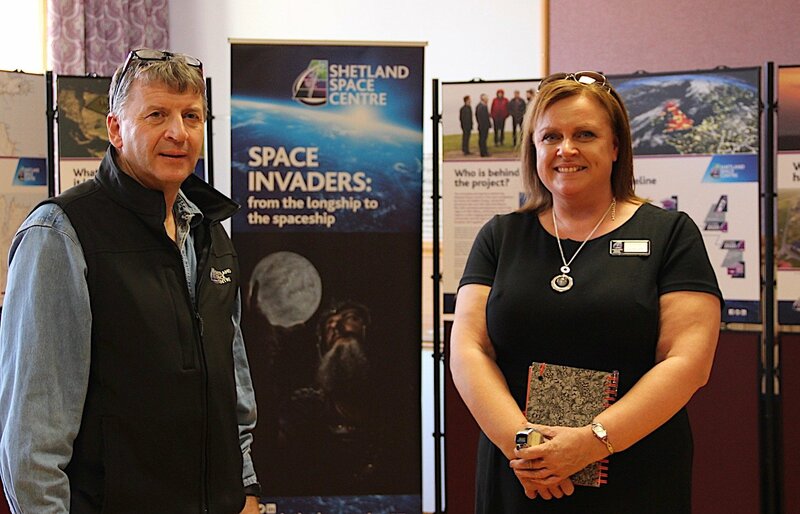 THE COMPANY behind plans to develop a national space hub on the island of Unst say they have received a largely positive response to its public engagement events this week. Shetland Space Centre held three roadshows in Unst, Yell and Lerwick over the last three days in a bid to provide more information on what is proposed, and discuss any concerns people may have had. At the Lerwick event on Wednesday afternoon there were just a few people studying the information material on offer. However, at the Unst event on Monday, a total of 79 islanders attended. The driving force behind the proposal, businessman Frank Strang, said the project continued to gain momentum as more and more global players in the space industry express an interest. “Our discussions with industry have been extremely encouraging and we are very, very confident that we have a business opportunity here for Shetland,” he said. A satellite tracking and communication centre is expected to be operational next year, to be followed by a commercial satellite launch facility at Lamba Ness towards the end of 2020 or early 2021. The overall investment is expected to be in the region of £40 million, Strang said, which could come from industry and private investors, as well as the public sector.